One of the hottest emerging fields in technology today is geographic information science and technology. While the big name can be intimidating, all it really means is using technology to map out and analyze geographic locations, including areas above and below the earth’s surface. As you can imagine, this has really changed the field, enabling many advancements and allowing us to reap many benefits. The government actually uses GIS in many different ways to help make life easier and safer for all of us. 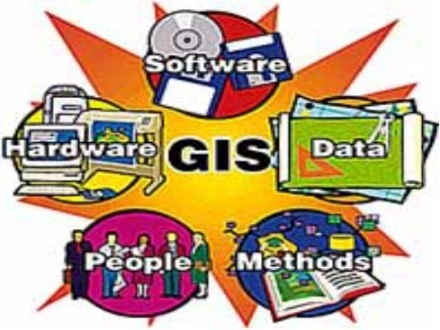 GIS uses digital technology to do a various number of things related to geography. This technology can create maps, collect data and make discoveries. As technology advances, so does the field of GIS. With the newer digital options, GIS can now map out space and look deep into the Earth’s core. It enables us to analyze information to come up with solutions to problems, create new innovations and even to learn more about life. Seeing the usefulness of this technology, you can probably imagine the government is making good use of it. This is absolutely what is happening. Government agencies may use this technology to plan out communities, roadways, and other projects. It can be used to create maps, which is one of the most common uses. In conjunction with the census, the government is able to map out boundaries and organize efforts more easily using GIS, along with collecting information about geographic locations. In addition, GIS is being recognized as a great tool for use in intelligence. It can enable us to analyze current efforts in areas around the world and see the impact the U.S. is having on the growth of nations we are aiding. For example, GIS allows you to see groundwater sources, which would be helpful in a developing area where water availability may be a concern. In addition, GIS can advance military intelligence efforts and help with managing events, like natural disasters. Because this is a growing field and there is more demand for professionals who know and understand GIS, it is a great career field to consider. Many schools offer GIS programs. For example, USC has a top rated GIS graduate program. If you are interested in this field, it is important to find a program that is highly rated, so you can get jobs in the top positions in the field. In a program, you are likely to study various technologies you will use in the field. In addition, you will study theory and analysis. Geography and science are also going to be courses you will need to take to complete a program. It is best to complete a graduate level program because this is most likely what degree will be needed to enter the field. GIS is something you may never have heard of before, but it is being used in a variety of ways in various industries. This field offers many great career options, which makes it a nice choice if you are trying to decide on a college major.